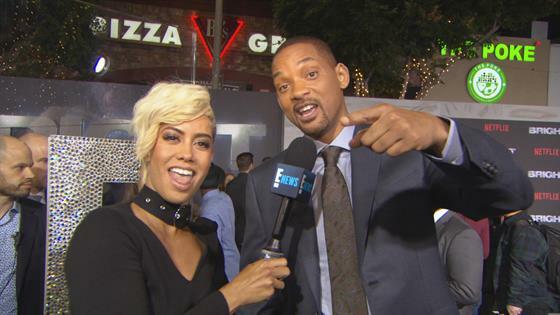 Will Smith and Jada Pinkett Smith are the power couple we all should be paying attention to. After celebrating their 20th anniversary as a married couple in December 2017 it's clear that the Smith family is doing something right...especially by Hollywood standards. Over the years, the couple has had their ups and downs, but through it all they've been honest about their marriage, relationship and partnership. In fact, they've said some outrageous, hilarious, and at times interesting things when talking about their romance, but no matter what comes out of their mouths it's honest and that's why we love them so much. Recently, Smith opened up about his 20 plus year romance with the Girls Trip actress and made sure to point out that "married" isn't a label they use anymore. Instead they refer to themselves as "life partners" and it's just the most recent example of how these two lovebirds keep it real. Take a trip down memory lane—and one of the coolest relationships in Hollywood—below and pick your favorite honest (and at times wild) quote about love that Mr. and Mrs. Smith have said about one another throughout their careers. Trust us, you're going to want to write some of these down! "We don't even say we're married anymore. We refer to ourselves as 'life partners,' where you get into that space where you realize you are literally with somebody for the rest of your life," Will Smith said during an interview with TIDAL's Rap Radar podcast. "There's no deal breakers. There's nothing she could do—ever—nothing that would break our relationship. She has my support till death, and it feels so good to get to that space." "Should we be married to individuals who can not be responsible for themselves and their families within their freedom? Should we be in relationships with individuals who we can not entrust to their own values, integrity, and LOVE...for us??? Here is how I will change my statement...Will and I BOTH can do WHATEVER we want, because we TRUST each other to do so. This does NOT mean we have an open relationship...this means we have a GROWN one." — Jada Pinkett Smith on Facebook. Which of Will Smith and wife Jada Pinkett Smith's quotes about love is the most outrageously honest? "We don't even say we're married anymore." "It's too hard to be in a pretend marriage." "If you don't get divorced that year, you get to add one more..."
"Will and I BOTH can do WHATEVER we want." "Take Jada Pinkett Smith and an obscure town in Mexico and..."
"I'm not his watcher. He's a grown man." "If I ever decide to divorce my Queen - I SWEAR I'll tell you." "I never thought about being married or having a family." "She can bear anything, and I just love that about her." "I'm blessed. So scrutinize me." "I love him deeply and he is my best friend."